Home > Printable Coupons > SmartSource Coupons | Baker’s Joy, Crockpot, Ortega Coupon & More! SmartSource Coupons | Baker’s Joy, Crockpot, Ortega Coupon & More! Check out these new SmartSource coupons for B&G products! 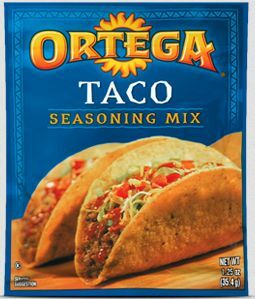 I am excited about the Ortega coupon which will make for some cheap taco seasoning. Walmart sells them for 58¢, making them just 8¢ each after coupon below!